Diversified Renovations specializes in remodeling homes and specialized building projects. We will finish your job on time while keeping you informed of our progress. From a bathroom or kitchen redesign, a total home renovation, church rehab, school or business expansion, we can provide the professional experience and customer service you need. Our experts will get your project moving from the initial CAD design to finished project. Diversified can help you realize your dreams. No matter how large or small, we can do the job creating a place where you will enjoy living or working each day. 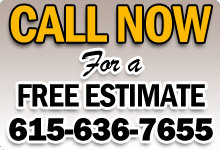 Call or email Diversified Renovations, and we will respond immediately to help you with your project. Diversified Renovations is led by owner Chris Bender - a licensed contractor, certified EPA renovator, certified engineer and certified quality auditor with more than 35 years of identifying the right materials, products and getting jobs done to specs. With experience in multi-stage corporate projects to private home renovations, his crew of specialists gets it done.